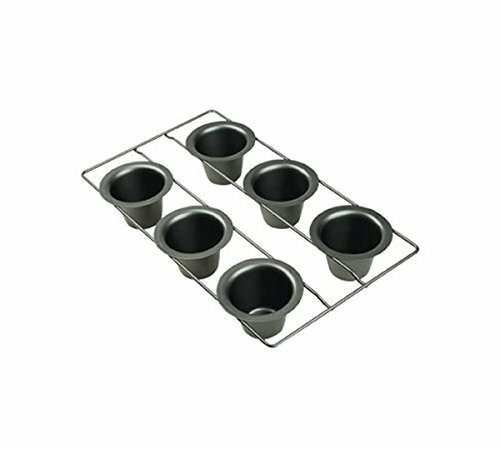 Non-Stick Carbon Steel 6-Mold Popover Pan, Carbon steel construction, Premium non-stick coating, Two-coat high temperature finish is applied before each pan is folded to ensure thorough and even coverage for better durability and performance, PTFE and PFOA free. If you have any questions about this product by Focus Foodservice, contact us by completing and submitting the form below. If you are looking for a specif part number, please include it with your message.